Hello rainbow children, as I may have mentioned I study SNL like’s it’s the stock market, so I am very attuned to the comedic progression of the various cast members. One such cast member has been getting funnier and funnier over the past couple of years and it is her hilarity we are here to celebrate today. Look at that knowing smile. Aidy Bryant had like the most normal childhood ever, which makes it even more amazing that she’s such a comic genius. After graduating from Columbia College, she toured with the musical improv group Baby Wants Candy. She has performed with iO Chicago, The Second City and the Annoyance Theatre. Bryant made her debut as a featured player on Saturday Night Live on September 15, 2012. She was promoted to a repertory player during her second season, AND I LOVE SHOUTING HER NAME AFTER THEY SAY “FEATURING” DURING THE IMPOSSIBLY LONG SNL INTRO! True story. In 2014, Bryant, Eli Bruggemann, Chris Kelly, Sarah Schneider, and Kate McKinnon were nominated for a Primetime Emmy Award in the category of Outstanding Original Music and Lyrics for the “Home for the Holiday (Twin Bed)” but I personally think “Back Home Ballers” was better. This is one of the best posts I’ve read on what we need to do to make the world better for trans people period, let alone posts responding to Leelah Alcorn’s death. It is, as the author points out, a cobbling-together of things other trans people have been saying for years, but it is, nonetheless, a concise, intelligent, powerful piece of writing and well worth a read. Binaohan is right to be critical of the It Gets Better campaign. Many people before me have discussed its shortcomings, but let me give you a brief rundown: “It Gets Better” is a campaign begun by a white, wealthy, conventionally attractive, cisgender gay man who occupies a place of relative privilege in society. It is inappropriate for someone in that position to tell queer youth that it will get better, when for many, it won’t. “It Gets Better” ignores the structural inequalities of racism, sexism, transphobia and other kinds of marginalization that keep “it” from getting better for queer and trans youth. The thing is, I never read the RealLiveTransAdult hashtag as an It Gets Better type of thing. The very first tweet I read, the tweeter just said “I’m 31 and I work in a bookstore.” That’s why I got on board. Because something missing from society is trans visibility. I didn’t even know any lesbians I could identify with as a young kid, let alone trans people. Leelah may not have mentioned trans invisibility specifically, but that doesn’t mean that trans kids aren’t suffering from lack of representation, lack of role models, lack of any sort of canvas on which to project their potential future life. 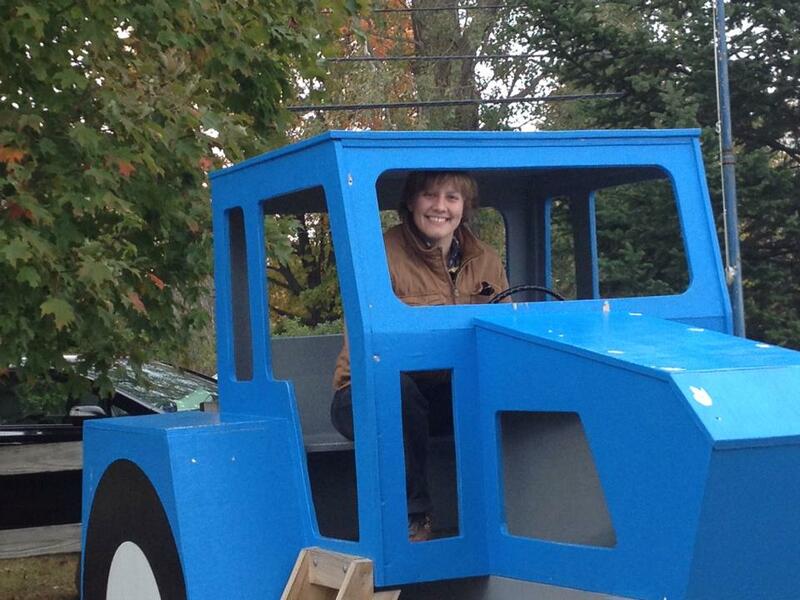 This real live trans adult likes playground truck structures. My tweets have been about being employed, having friends, having cats and rabbits, having good days and bad days, and loving Melissa McCarthy. Nothing that’s particularly groundbreaking, and therefore nothing that’s especially out of reach for trans kids. Just a reminder, in a world that likes to pretend we don’t exist, that we do. And we’re everywhere. So although we’ve got a lot of battles to fight, and adult trans people tweeting about their boring lives probably isn’t the *most* impactful thing we could be doing, more representation of trans people who have survived to adulthood is, undeniably, a good thing.